Hollywood's gentle giant, with the voice of steel, has sadly passed away at the age of 54. 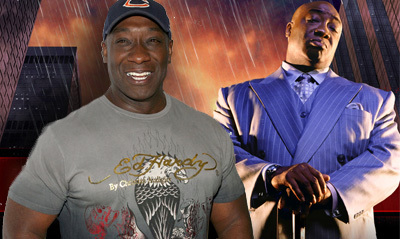 Michael Clarke Duncan is an actor whose career often showcased an ability to portray characters softer than the size of the guy would suggest he was capable of playing. Gaining worldwide attention with his role in the adaptation of Stephen King's The Green Mile, Duncan also had a wide range of comic book movie based roles. He leant his deep vocal tones to Kilowog in Green Lantern, Hayden in the cartoon Teen Titans, Rashid Randall in Static Shock, and as Kingpin in the 2005 Spider-Man cartoon. Not even counting his video game vocal roles, Michael physically played the mobster Manute in Sin City and Kingpin in Daredevil. His massive smile will be missed. just saw this on AOL news! only 54 years old! apparently he was being hospitalized for a previous heart attack he had suffered? this is breaking news i'm sure we'll hear more details as in the next few days. anyways, really sad news as a successful actor who was also a genuinely nice person to lose their life while relatively young. Too true Dave. Seems he had heart problems earlier in the year and never quite recovered. He passed away in hospital. Like you say, so young and so talented. Very sad news to wake up to. Very, very shocked to see this! A heart attack too, damn! And he was only 54, so that's tragic in and off itself. Damn shame man. This is one of those deaths that hits you like a gut punch, even when you didn't really know the person. Every roll he had made you love the character, even when the character wasn't that loveable. You wanted to see him on the screen, large or small. I will miss him. I know all of my friends will miss him. At least one of them at this moment is going through their video archives at the moment watching every single movie they have with him in it at the moment (I think they're on Sin City right now). It is a genuine shame, as Dale said. I have no idea how they're going to replace him on The Finder. I don't think it's possible. Aw HELL naw! That's just sad. And only 54? I just...no. He shoulda lived to be 100. RIP big man. Gone way, way too soon. Thats a shame, thought he mightve been getting gradually better as we heard nothing over the last few days. I know what you mean Random, when he played Kingpin I kept waiting for him to shake the nasty and start talking about a 'circus mouse' but no such luck. 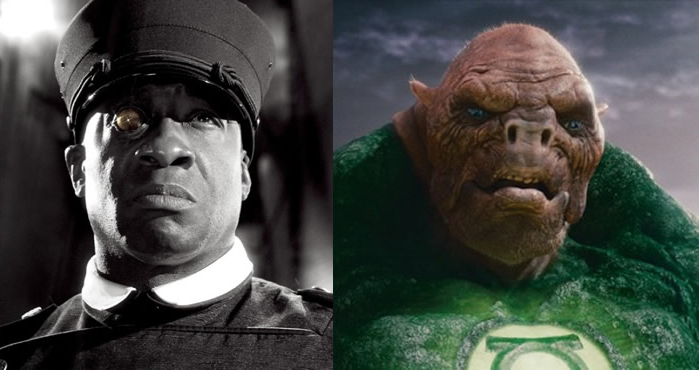 Personally I liked him as Kilowog (second to Green Mile of course) - when Kilowog spoke with his voice it was one of the 'Hell yeah!' moments of that film. Thanks for all the comments folks. It's a true testament that everyone holds him in the same regard.